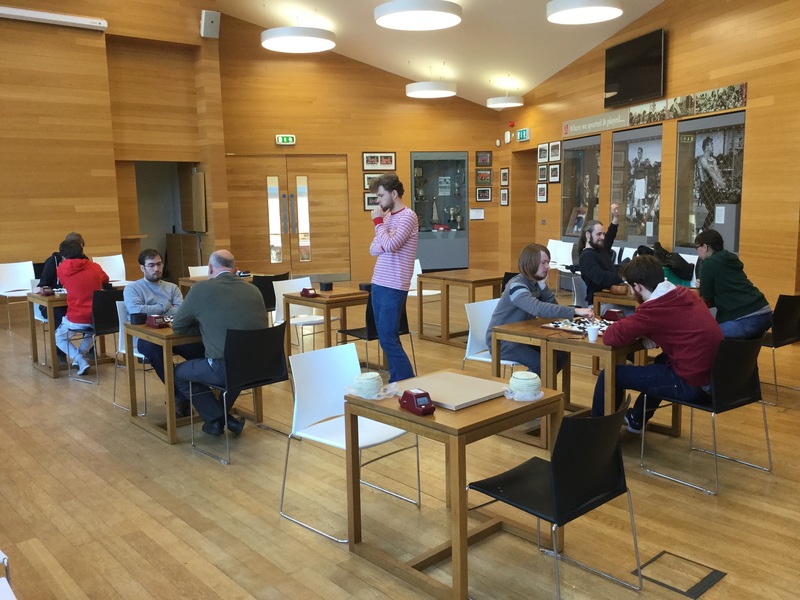 Last weekend, UCC’s Mardyke Pavilion hosted the 9th annual Cork Go Tournament. The turnout was modest, with a total of 11 people participating across the two days. A shame, since the atmosphere, and the weather, were great! 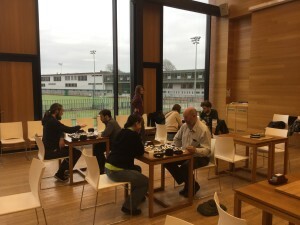 In a break with recent years, the tournament was Class B, with no bar set. Attendees ranged from 2k down to first-time tournament goers. Geoffrey (FR 3k) waltzed through the event with 5/5 wins. Second place was secured by Piotr (PL 6k) with 4 wins. Third went to Brian (IE 15k) a new local player. The full results table can be found on the EGD.